DWI (driving while intoxicated) also known as DUI (driving under the influence) refers to the criminal law offense of operating a vehicle while under the influence of alcohol, drugs or narcotics. Some states use the term driving while impaired while others use the term operating while intoxicated (OWI). There may be slight differences in interpretations of DWI and DUI where in some jurisdictions the latter means that the driver had a lower level of intoxication than a DWI. Regardless of the term used, drunk driving offenses are considered severe crimes that come with significant penalties. Over the years, states have become increasingly tougher when it comes to drunk driving and have imposed harsher penalties. While most DWI offenses are considered misdemeanors, some are considered felonies depending on the circumstances surrounding the offense. Being a criminal charge, a person charged with DWI is considered innocent until proven guilty, even if that person has been arrested for underage drinking. Once proven guilty (often after a jury trial or through the defendant’s own plea), the penalty will vary depending on state law, the defendant’s cooperation with the police as well as any other circumstances. In a majority of states, a first offense DWI often results in an automatic suspension of the violator’s license. The length of suspension varies from one state to another but will range from 45 days to one year. Refusal to take a breath, blood or urine test can lead to a license suspension and penalties regardless of the finding of guilt. Some states will even cancel the car’s registration or confiscate the car, either temporarily or permanently. 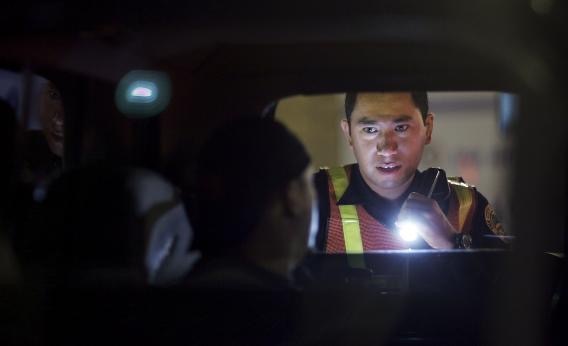 Offenders may also be required to install ignition interlocks that can analyze the driver’s breath and only unlock the ignition if the driver is within preset alcohol level limits. First-time offenders may also face possible jail time of up to six months. However, jail time may be increased under certain circumstances such as very high blood-alcohol content (BAC) levels. Subsequent offenses will result in longer jail terms of several months to a year. In the case of a DWI arrest that has been classified as a felony, either because it’s the driver’s third or fourth DWI or because the driver injured or killed someone- it’s likely that the violator will face several years in jail. Similarly, jail times are dependent on factors such as the facts of the case, state law and the judge’s discretion at trial. More serious offenses will require that you work with an attorney with expertise in this field. Searching online for a NJ DWI defense attorney will provide you with a large list of qualified candidates in that state to choose from. Be sure to thoroughly check your reviews to find the best drunk driving lawyers near you. In addition to license suspension and jail sentences, courts can also impose high fines for DWI charges. Fines may range from about $500 to as much as $2000. Several states’ court sentences may include alternative forms of punishment such as treatment for alcohol abuse or community service, especially if charged with a higher level crime such as manslaughter or aggravated DUI. The judge may recommend such punishments either in addition to or instead of paying fines or jail time. – DUI/DWI Defenses | DuiDrivingLaws.orgDUI/DWI Defenses. Fighting driving-under-the-influence charges in court. By John McCurley. DUI Court Process. DUI Related Charges. Second Dui or Third DUI : 3 Ways That Prior Convictions Affect Your DUI. How an Out of State Prior DUI Affects a DUI in California. – DUI LAWYERS – 100% Focused on DUI Defense. Experience.The 10-day rule is important because you can lose your driver's license if you fail to comply. Call us today (877)DUI-PROS / (877) 384-7767 to discuss your case with a DUI defense attorney. – Naples FL DUI Defense – The Law Office of Erik J. LombilloDUI Defense Naples. Board Certified Criminal Trial Expert. Board Certified lawyers have met the skills and proficiency in various areas of law, and professionalism and ethics in the practice of law. From the initial police stop to the introduction of evidence at trial, the following DUI defenses may help to reduce an unreasonably harsh sentence or even result in a dismissal altogether. 1. Top DUI Defense #1: Bad Driving Does Not Automatically Equal DUI. One of the first things prosecutors focus on during a California DUI case is your driving pattern. – DUI Lawyer Tucson | Criminal Defense | DUI Defense TeamLet the DUI Defense Team help you navigate your criminal charges and fight for your rights. Your first DUI offense is typically categorized as a Class 1 Misdemeanor Criminal Offense. – Criminal Defense & DUI Attorney Palos Heights, Alsip & Tinley ParkCriminal Defense. DUI/DWI. Felony Drug Charges. At the Palos Heights law firm of Ettinger & Besbekos, P.C., the three attorneys offer clients from throughout northeastern Illinois representation during litigation, along with proactive counsel designed to prevent future disputes. Call our law firm in Palos Heights at 800-243-1275 for a free consultation. attorney nicholas Karas was a former prosecutor in the Cook county state's attorney's Office for more than 10 years before starting his own criminal defense practice. Your Seattle DUI attorney will provide you with more personal attention and spend more time preparing your defense than any other law firm out there. each client's criminal defense strategy is built by lead attorney, Matthew Leyba. – Seattle DUI Attorney, Criminal Defense Lawyer & Law Firm in WAWhen you meet with the Leyba Defense PLLC firm and premiere DUI & Criminal Defense Lawyer, Matthew Leyba, our primary goal will be to answer your questions and put your mind at ease. 165 usd. but now you have the advantage with Alabama DUI Defense: The Law and Practice, 4th Edition. This text and supplementary DVD contains the most important and up-to-date information to help you attain a successful verdict. – Alabama DUI Laws | Alabama DUI Defense Attorney | Drunk Driving…An Alabama DUI Laws attorney is one that focuses his practice on DUI Defense and has taken the time to seek out specialized and advanced training on the very complex area of DUI Defense. – Kansas DUI Lawyer | DUI Defense Attorney in Kansas cityhave this experienced and zealous Kansas criminal defense DUI attorney represent you. You will be treated with respect and your case will be given priority. – Experienced DUI & DWI Defense Attorneys in Kansas | Overland ParkThere are a lot of DUI Defense Lawyers in the Kansas City Metro and many will tell you they are the best for you. – Fairfax Virginia Defense Attorneys: DUI… | McGlone Law Firm, P.C.For more information, or for help Defending a DUI/DWI or other Traffic and Criminal Charges in Fairfax, Prince William or Loudoun County, Virginia, Contact Virginia Defense Attorney Paul McGlone at 703-273-2750. – Robinson Law PLLC | DUI/DWI, Criminal & Traffic Defense serving…if you have been charged with a criminal offense or DUI in Fairfax or NOVA, you are likely wondering what steps to take to ensure that you hire the best possible criminal defense attorney for your case. – Fairfax Criminal Defense Attorney | DUI & Drunk Driving OffensesFairfax Criminal defense attorney. the consequences for DUI: Clients who reach out to us concerning a DUI arrest often share common questions. These concerns are best addressed by a lawyer experienced with DUI cases. Virginia Criminal Lawyer/Fairfax DUI Attorney Jonathan L. Katz. Being in a criminal defense BIND may feel daunting; dealing with your virginia criminal lawyer should be a breakthrough.